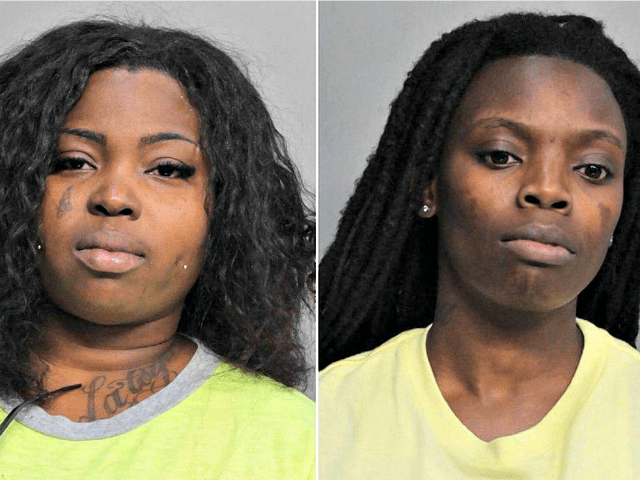 A Florida mother faces multiple charges after she went to her daughter’s high school around the end of the school day and beat up the girl who was her daughter’s rival, police say. Police said Ernstlatta LaFrance, 30, hit the Carol City High School student and knocked her phone out of her hand, the New York Daily News reported. But the fight did not end there. The victim went to LaFrance’s townhouse to retrieve her phone when LaFrance allegedly broke the girl’s finger and used an ax to destroy her car. Police said LaFrance’s partner, Erlisa Evans, 28, got involved in the incident when she came outside the home and fired three gunshots into the air, according to an arrest report. Evans now faces charges of aggravated assault with a deadly weapon and firing a gun into the air, Fox News reported. The Miami Herald reports the incident stemmed from a fight between LaFrance’s daughter and a group of girls at the Miami-Dade County Fair & Exposition. “The defendant also bragged on Facebook telling the victim that suffering two black eyes was not the end and she would use a gun,” the officer wrote in the arrest report. LaFrance was arrested and faces multiple charges including strong-armed robbery, child abuse, and aggravated battery. She remains in custody at the Turner Guilford Knight Correctional Center, being held on $38,000 bond.